Another project we are working on this summer is the addition of new snow fences. We have utilized snow fences on the mountain for many years to help protect certain slopes from wind scouring while gathering snow piles for our groomers work with. 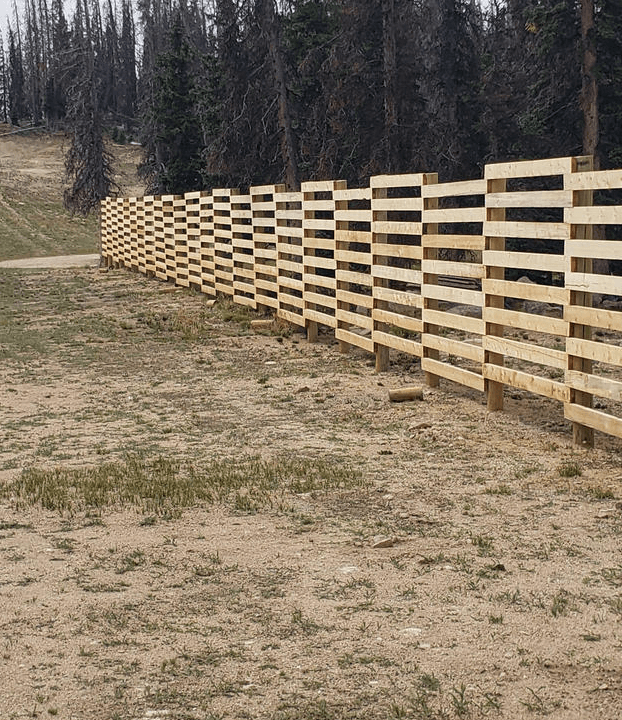 We have metal fences, wooden fences with synthetic vanes, and portable fences that we move around on our trails during the winter months. 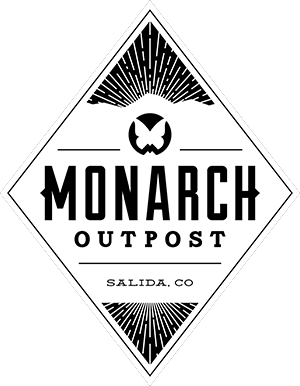 We are utilizing locally harvested wood for these fences and once our timber sale gets underway, we will work towards milling our own boards to use for additional snow fence projects in the future. 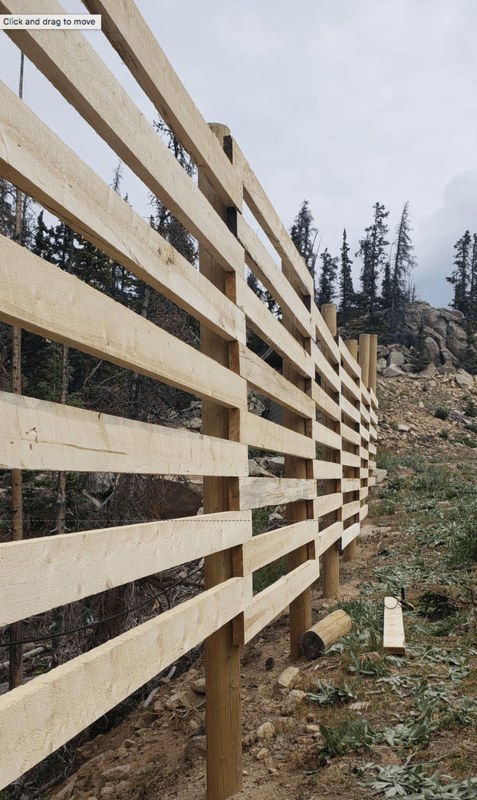 The addition of these permanent fences on the mountain is in anticipation of certain areas changing in character as tree islands are thinned as part of the Vegetation Management Project. These zones will most likely experience a different pattern in wind scouring and wind loading as this timber work is conducted. The fences gather snow piles on the leeward side of the fence as the wind and snow blow in from the windward side. These piles can then be pushed around by our snowcats to the areas where we need it such as the top lift ramps and along ridge lines.